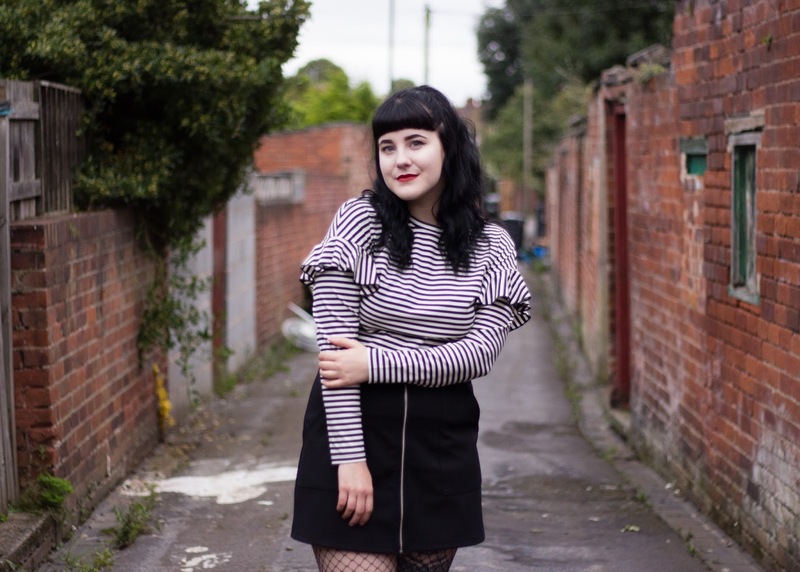 Growing up a massive part of my style was stripes, and it still is! Most people would associate me with wearing lots of stripes.... and lots of black items too. Hence why a lot of people say that I look like a member of the Addams family, which isn't surprising! 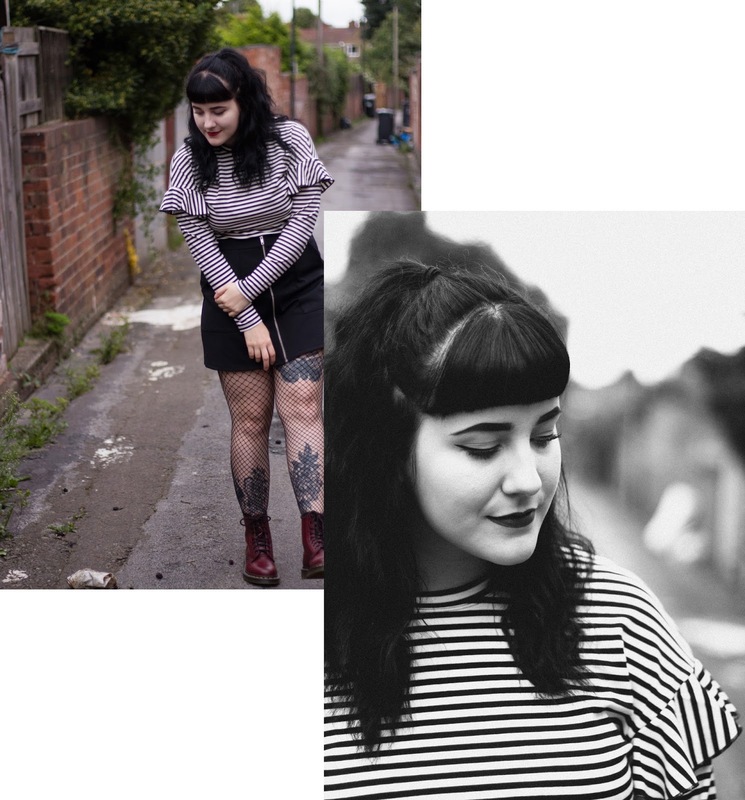 A line skirts are a staple in my wardrobe and they always have been, I've never been a fan of jeans or trousers and I feel A line skirts suit my body shape a lot more then typical bodycon ones. 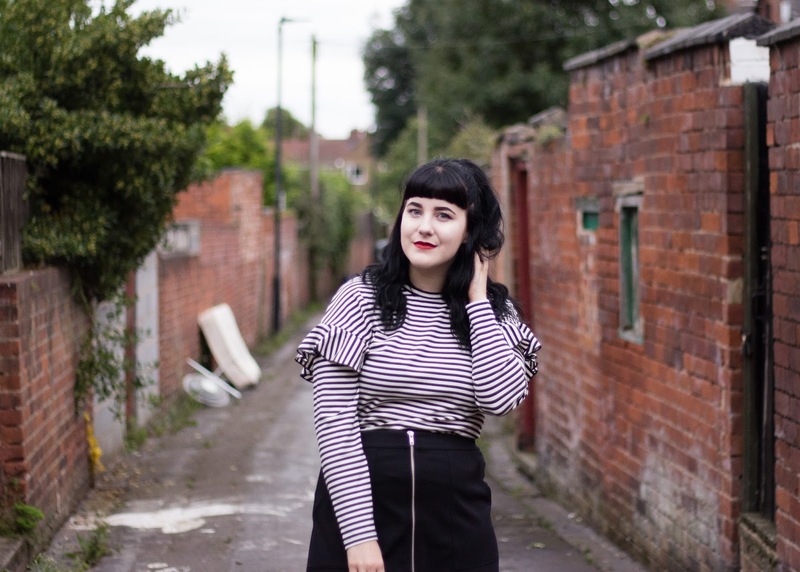 The item that made me want to show you this 'back to basics' outfit is this absolutely beautiful striped top! 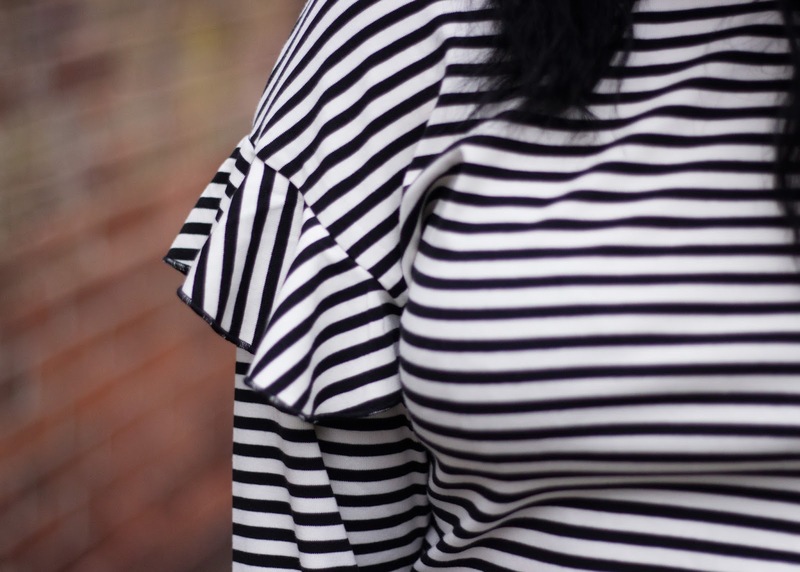 I like how the frill detail gives it a bit of an extra bit of something rather than just a simple striped top. H&M also stock it in a burnt orange/red stripe, a blue stripe and plain white too, which are equally as beautiful. 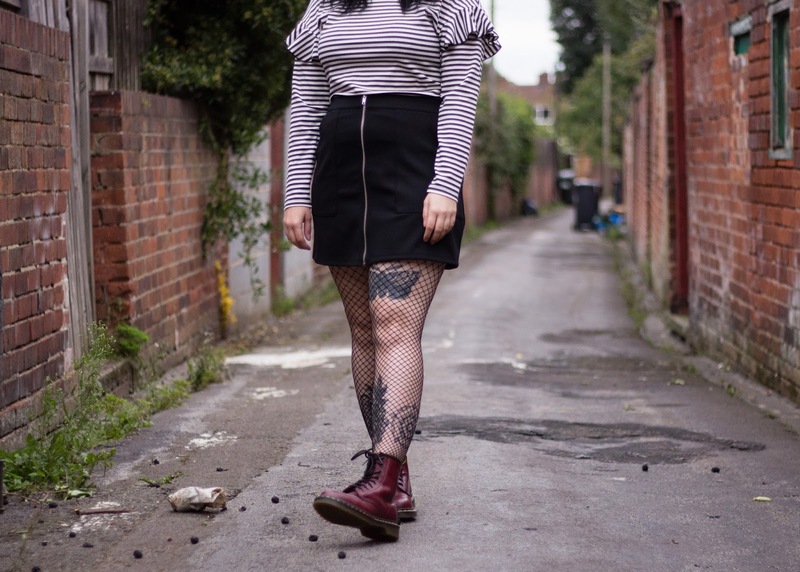 The skirt shown in this post is something I have had in my wardrobe for a long time but I forgot about it! I have featured this on Sister Of The Moon before but I wanted to bring it out again. 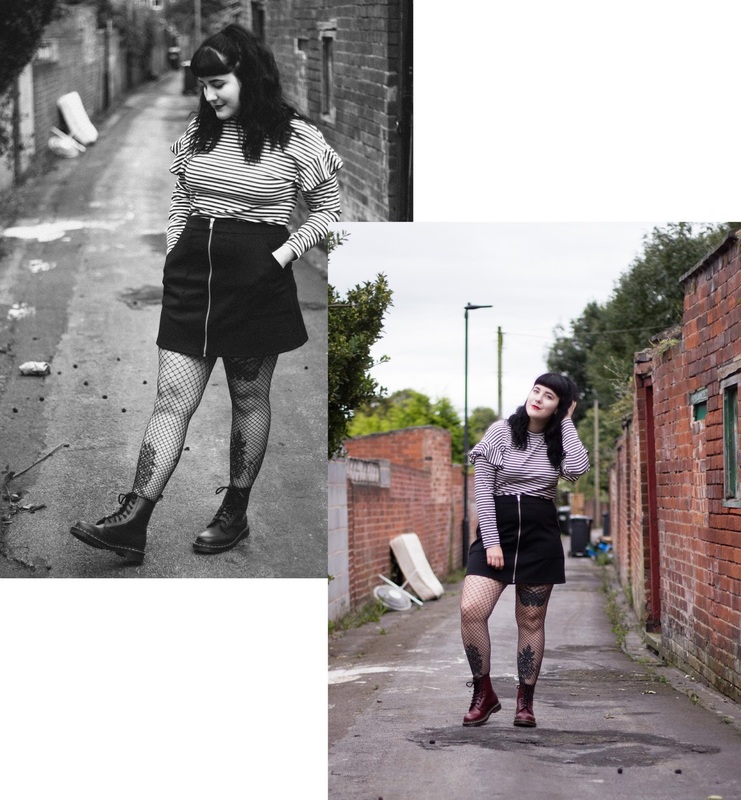 I added fishnet tights and cherry red Dr Martens to give the whole outfit a grunge edge, I'm really enjoying bringing this back to my day-to-day outfits as I seemed to have wandered off the the more girly side of fashion. 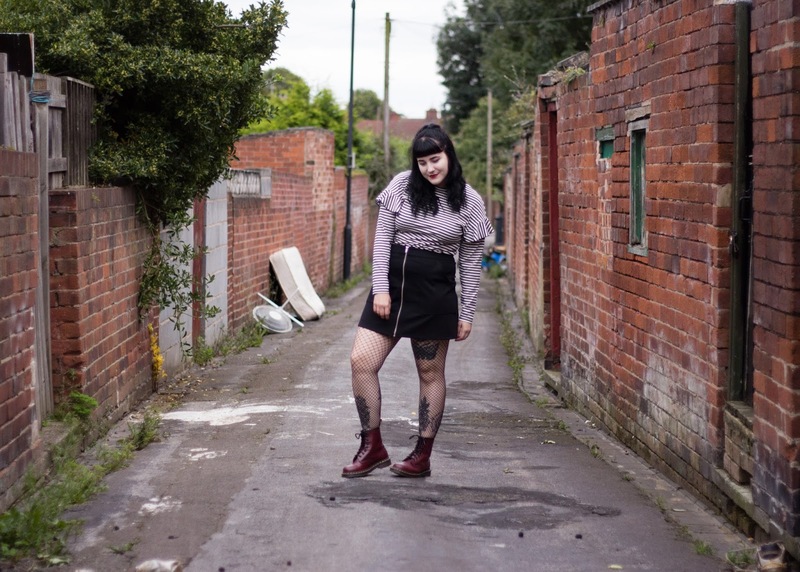 Are you really a fashion blogger in Doncaster if you don't do outfit posts down a gross alleyway that has shoes, mattresses and a hell of a lot of random berries on the floor...? I joke! 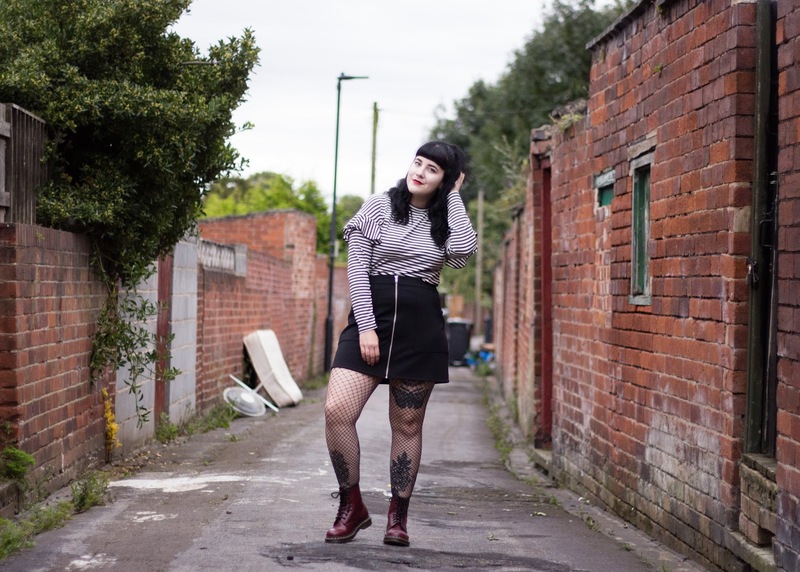 I thought the background of a typical alleyway would give a bit of a 'rough around the edges' look to this outfit! I also wish I was kidding when I say this is what things are actually like in sunny doncaster. I like how the grunge sort of outfit looks with this as my surroundings! 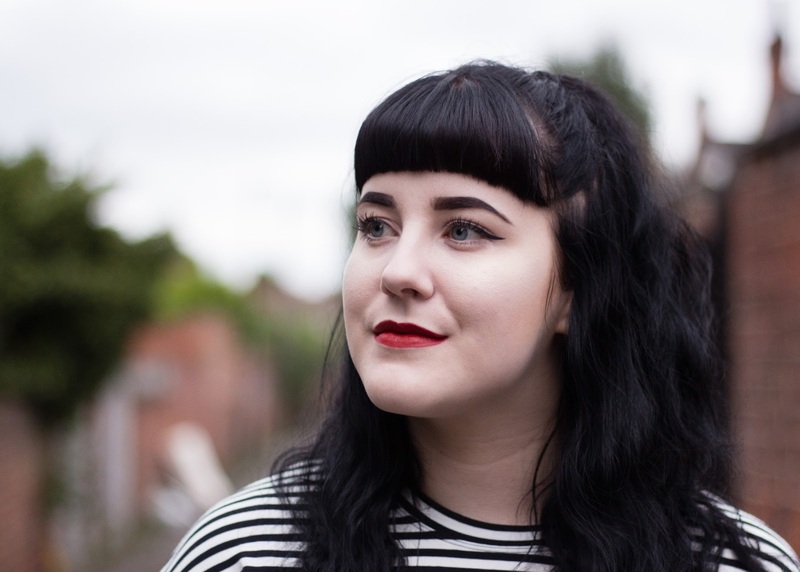 Thank you to my sister rwalkerphoto.blogspot.co.uk for the images! Go check out her blog. You look amazing in this outfit. 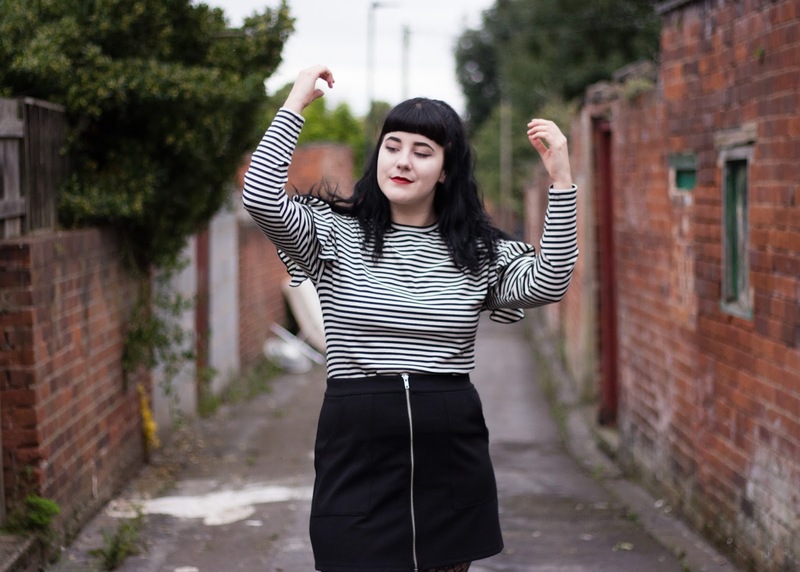 I NEED this top, I'm all for a stripey top and with the frill details on the sleeves are super cute.